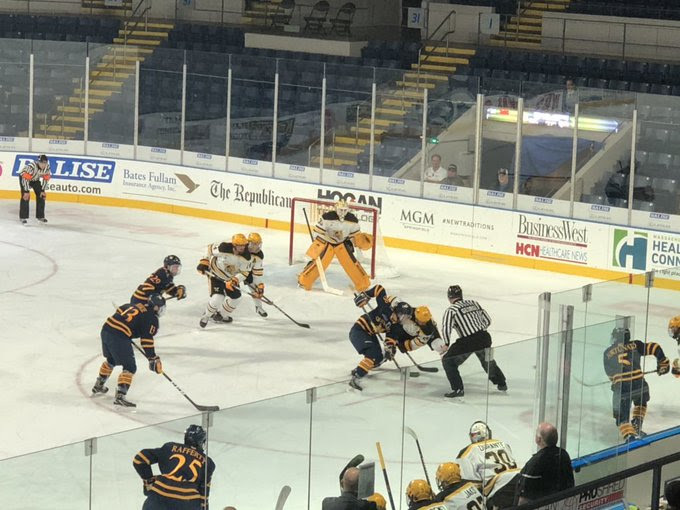 The Quinnipiac Bobcats (5-0-0) swept a weekend series against American International College (AIC) in a convincing fashion with a 4-1 win on Friday night followed by a 9-2 thrashing on Saturday night in Hamden. Three Bobcats had multi point games Friday as Craig Martin had two goals while Chase Priskie had a goal and an assist and Odeen Tufto had two assists as Quinnipiac led within the first 30 seconds and never trailed. Junior goaltender Andrew Shortridge got his first start of the season and was strong in between the pipes with 22 saves. Nick Jermain had the other goal for Quinnipiac which was the first of the season for him. Saturday night saw the Bobcats start strong and finish strong. Alex Whelan scored a hat trick while Wyatt Bongiovanni and Brogan Rafferty each had a pair of goals in the rout. Brandon Fortunato assisted on five of the Bobcats goals while pair of freshman had multi point games in Ethan de Jong (3 assists) and Peter Diliberatore (2 assists). Both Craig Martin and Karlis Cukste had two assists apiece. Just as they did a night ago, Quinnipiac scored within the first minute and never trailed. They scored five unanswered goals until AIC scored with a little more than two minutes left in the second period. "I thought we were more honest and we played to our identity in the first period, Pecknold said. That was something that we lacked last night". After Alex Whelan opened the scoring, Bongiovanni scored three minutes apart before Alex Whelan capped the first period with his second goal of the game. Captain Chase Priskie scored the Bobcats 5th goal and also assisted on the 8th goal. Four of the first five goals were assisted by Fortunato. "I think the biggest difference is the culture and the buy in from the entire roster and we are all in the right direction, Fortunato said." Quinnipiac pushed the lead to 6-1 in the third on Brogan Rafferty's first goal of the season. 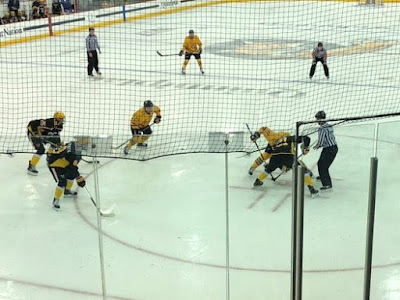 AIC got one back on the power play midway through the third period but the Yellow Jackets took a major penalty when Joel Kocur elbowed Wyatt Bongiovanni in the head, Quinnipiac scored three goals in a three minute span to cap the scoring. Keith Petruzzelli got the start and made 17 saves for his fourth win of the season. A key in the game was holding AIC to less than 20 shots. "Our defense is playing well, Fortunato added. We still feel we can be better.We take pride in giving up less than 20 shots a game." 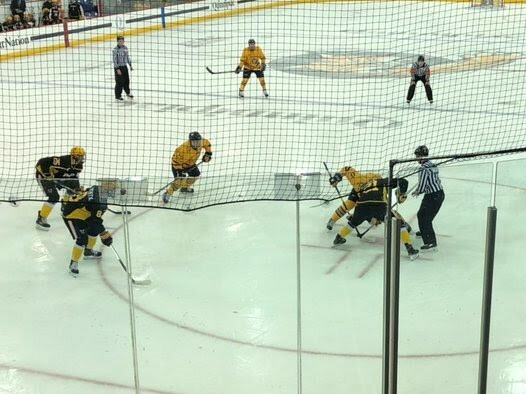 Quinnipiac takes their undefeated record on the road as they open ECAC play next week when they against a pair of Ivy League teams in Harvard and Dartmouth.